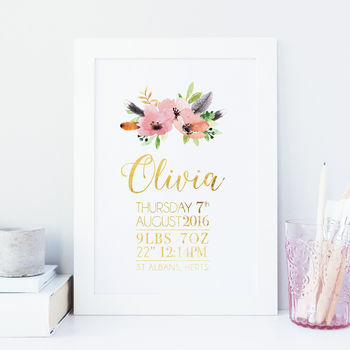 A gorgeous gold foil floral print, personalised with the baby or child's birth details as a lasting momento. Please use the options menus to specify your personalisation preferences. Please make sure you enter and check the personalised information you supply to ensure it is all correct and in the correct case you wish it to be printed in. 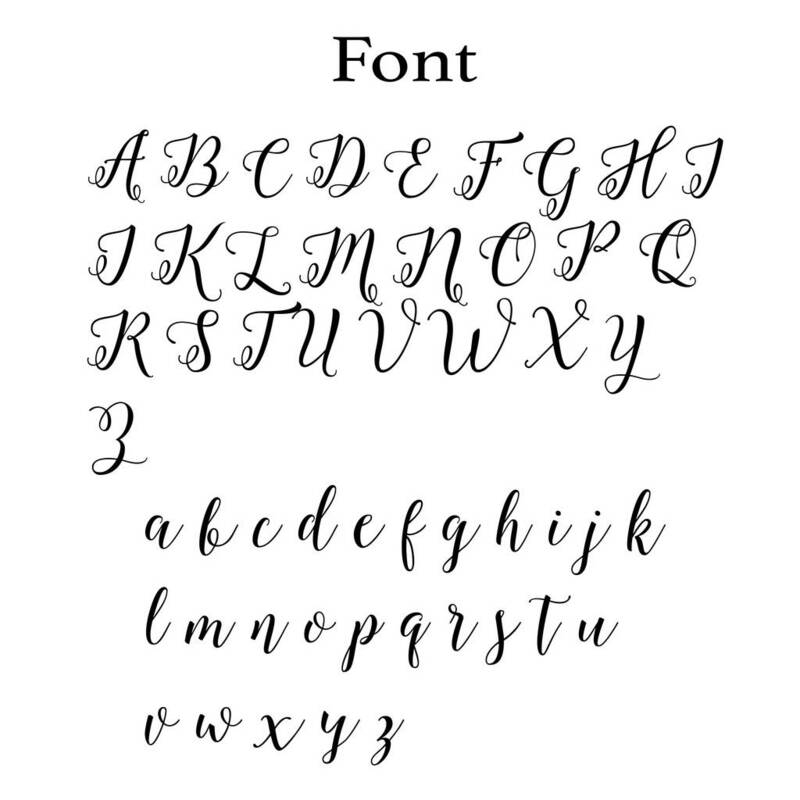 The print will include the text exactly as you supply it, the layout may differ from what is shown, it will be designed to be the most aesthetically pleasing based on your required text. 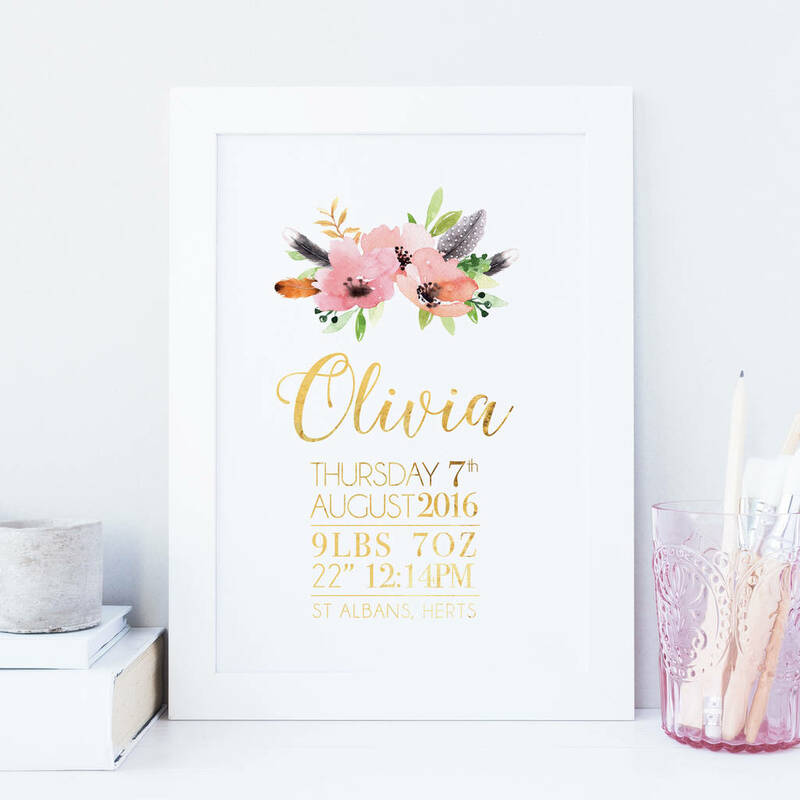 The print is available to purchase unframed or why not take the hassle out of finding a frame and have the print professionally framed (picture hooks and hanging thread included - assembly required to hang). Where applicable you can choose for the frame to include a mount.